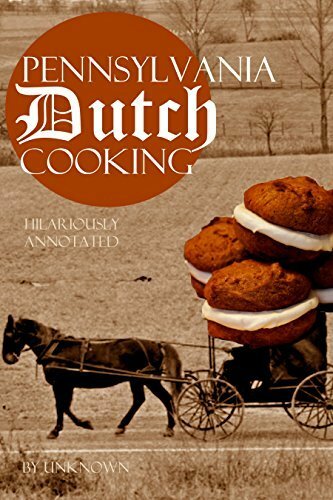 This classic joins the pantheon of cookbooks fit for the gods. If only the gods were interested in cooking for themselves but we suspect they outsource it. Much like early Americans did with the Pennsylvania Dutch. They didn’t actually outsource the immigrants but kind of outsourced their origins, since they weren’t Dutch but came from German-speaking regions of Europe and settled in the land of Hershey’s chocolate.